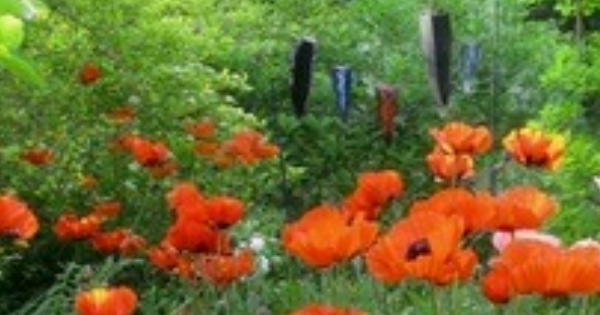 Gannaiden: Garden of Possibilities launched ‘le jardin pour tous’ - a sculpture-related garden initiative in collaboration with l’école secondaire de la Cite-des-Jeunes in Vaudreuil-Dorion. Les Beaux Detours celebrated nature and art with a conference, lunch and visit of Gannaiden. Marcel and Elaine hosted a garden tour, with sweet and savoury Family Nosh and a glass of tea. Gannaiden hosted an amazing garden party for the girls of Sparks, Hudson - looking for fairies amidst the plants, hide and seek in the garden (including finding giant sculptures), eating a special snack under a tree, singing, games, etc. In celebration of Canada's 150th birthday, Gannaiden: Garden of Possibilities hosted a gathering of post-WWII Canadian immigrants from a dozen different countries who came to live in the MRC Vaudreuil-Soulanges Region. 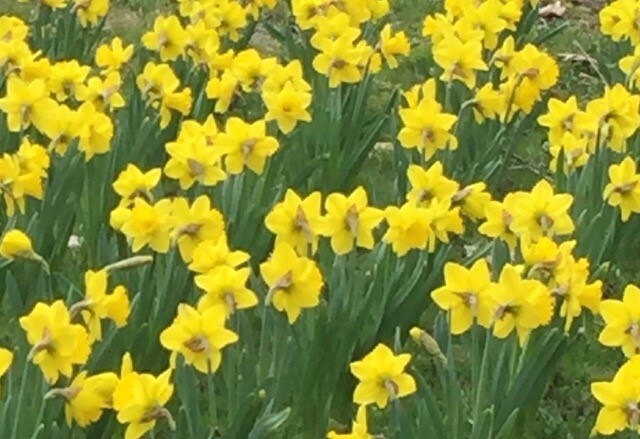 As part of its efforts to give back to the community and contribute in a small way to the beauty of spring in the region, Gannaiden: Garden of Possibilities gave free daffodil bulbs to residents of the MRC Vaudreuil-Soulanges region. Gannaiden Online opened its virtual doors to the public. Gannaiden: Garden of Possibilities opened its doors to the public.